I love sharing beauty tips and hacks, anything that can make our beauty routines shorter or more effective! You guys loved my 10 Fashion Tips and Hacks I did back in June, so I thought it was about time I did a beauty version. Who knows, maybe a lifestyle one will be coming next month?! 1. Pat instead of rubbing your skin dry. Rubbing irritates the skin horribly and the harsh motion can dry out your skin too! 2. Layers can make hair look fuller and healthier. As well as giving your hair more shape and style, a few layers can go a long way to making thinner hair look more voluminous! 3. Always apply an SPF! UVA and UVB rays are absorbed by your skin all year round, so it's important to wear an SPF. My favourites are Soap & Glory and La Roche-Posay. 4. Keep hand and foot creams next to your bed. This will remind you last minute to apply them before going to bed. 5. Sharper your makeup pencils each time before using them. Especially for eyeliner, as this keeps them sharp and removes any lingering bacteria on them. 6. Hot cloth cleanse with a cream cleanser. Remove your makeup each evening, then apply a cream cleanser and gently buff in with a muslin cloth or flannel, which has been soaking in warm water. 7. Exfoliate your face once a week. Dead skin cells and excess oil can build up over time and it's good to have a deep scrub once a week! 8. Keep your hair off your face when cleansing. If your hair is dirty or a bit 'meh' keep it away from a cleansed face to avoid breakouts. 9. Rub Vaseline on your pulse points before spraying perfume. This makes your perfume last longer throughout the day! 10. Turn down the hot tap. Washing your face or body with hot water, then followed by cool air can cause dry skin so it's best to cool down. What's your best beauty tip or hack? 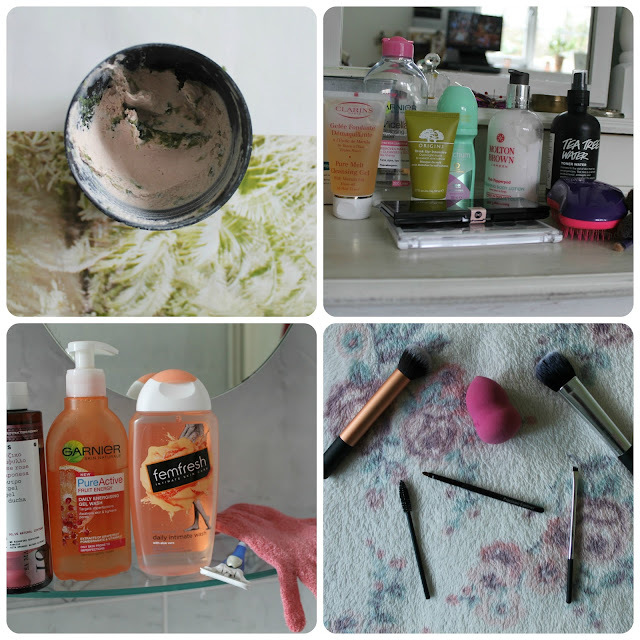 Catch up with my previous beauty tips posts here and here.